Baseball's back, which means things are looking up for most of the metro area. But maybe sports aren't your thing — that's OK, there's a lot going on this week. There are dance concerts, cabaret shows, several plays and even a documentary about a strange city at the top of the world. The slightly new-look St. Louis Cardinals had home-field advantage yesterday for the first time this season at Busch Stadium. What does 2018 hold for the team that last year missed the playoffs (again)? No one knows and, on opening day, no one really cares. Win today and it's a good omen for the rest of the year; lose and it's only the seventh game of a very long season. The Cardinals start a three-game series against the Arizona Diamondbacks at 6:15 p.m. (games two and three are at 1:15 p.m. Saturday and Sunday, April 7 and 8). Tickets for the home opener are scarce, while remaining tickets for Saturday and Sunday are $15 to $375.90. Spring's finally sprung and dancers are popping up everywhere. This weekend Big Muddy Dance Company celebrates a subject near and dear to most people reading this: St. Louis. The company's new concert Meet Me in... tells the stories of some of the region's heroes through the choreography of artistic director Brian Enos, company dancers Robert Poe and Thomas Jackson and internationally renowned choreographer Robyn Mineko Williams. Meet Me in... is performed at 8 p.m. Friday and 2 p.m. Saturday (April 6 and 7) at the Grandel Theatre (3610 Grandel Square; www.thebigmuddydanceco.org). Tickets are $25 to $35. In Rosencrantz and Guildenstern Are Dead, two friends are faced with big questions. Hamlet and Tom Stoppard's Rosencrantz and Guildenstern Are Dead fit together like a mortise and tenon joint. Bit players in Hamlet, Rosencrantz and Guildenstern are old friends of the melancholy Dane who show up to visit, but then agree to murder Hamlet at the behest of his stepfather. In their minds, a dead friend is worth being in the good graces of the new Danish king. In Stoppard's play, these two terrible friends are less mercenary and more confused by what's going on around them. All of the action in Hamlet is repeated, but in this version Rosencrantz and Guildenstern are the stars, always on stage while the "supporting cast" of king, queen, acting troupe (and its mysterious leader, the Player) and various courtiers appear suddenly for a short interaction with the boys, and then disappear — often to die, because everybody dies in Hamlet, including our heroes. One play is a reflection of the other, but which is the real play? 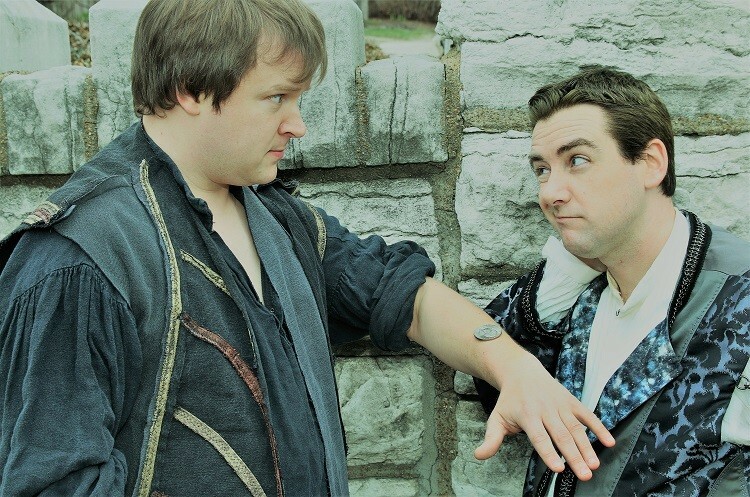 St. Louis Shakespeare presents Rosencrantz and Guildenstern Are Dead at 8 p.m. Friday and Saturday and 2 p.m. Sunday (April 6 to 15) at the Ivory Theatre (7620 Michigan Avenue; www.stlshakespeare.org). 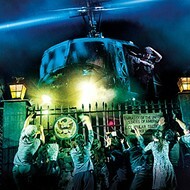 There is a 7:30 p.m. show on Thursday, April 12. Tickets are $15 to $20. 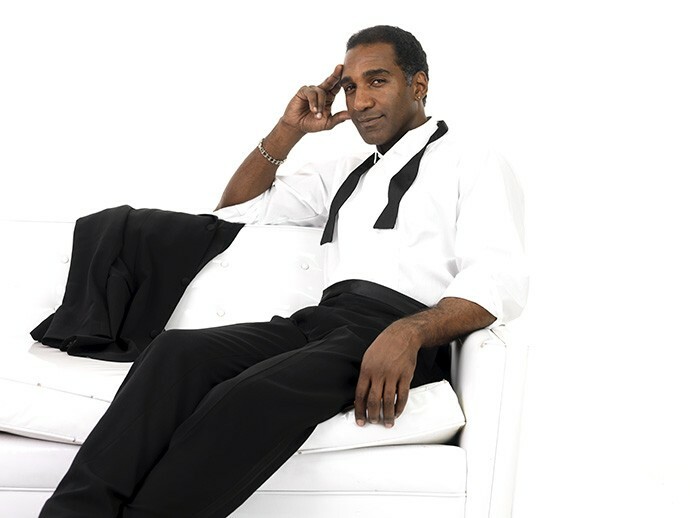 Norm Lewis plays the Sheldon on Saturday. Singer/actor Norm Lewis moves comfortably from stage to big screen to small screen and back again. He's played the titular Phantom of the Opera on Broadway, Javert in Les Miserables (at the Muny in 2013), and he was just on your TV as Caiaphas in Jesus Christ Superstar Live in Concert. Even with all that, Lewis still makes time to perform his cabaret show, which he does at 8 p.m. Saturday, April 7, at the Sheldon (3648 Washington Boulevard; www.thesheldon.org). He has a powerful voice, and he knows how to marshal it in service of the song, singing with force and precision where others would belt. Tickets are $40 to $100. 5. Philosophy is a crime? Love can blossom in the unlikeliest places, even a war zone. 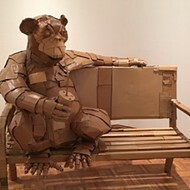 Such is the case in Hansol Jung's play Cardboard Piano. The white daughter of a missionary falls in love with a local Ugandan woman, and they hope to get married and then escape Uganda's civil war for a happy life together. But during their secret ceremony, a wounded child soldier interrupts. The women's love may have grown among the bullets and kidnappings, but can it survive there? 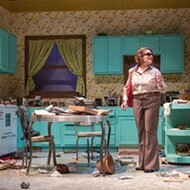 Cardboard Piano is a story of love and forgiveness told by the West End Players Guild. The company performs the show at 8 p.m. Thursday through Saturday and 2 p.m. Sunday (April 6 to 15) at the Union Avenue Christian Church (733 North Union Boulevard; www.westendplayers.org). Tickets are $20 to $25. Longyearbyen is north of here; it's pretty much north of everywhere. The remote town is about 300 miles from the North Pole and has more polar bears than people. Those people are the subject of Darren Mann's documentary This Cold Life, which introduces you to some of the residents. Their lives include the coal mine (the main source of jobs and quickly going broke), depression, three months of total darkness every year and the lack of women. But the 2,200 hardy souls who call Longyearbyen home stay for some reason. Is it the isolation, or a side effect of the heavy drinking everyone seems to use as a coping mechanism? This Cold Life is shown for free at 7:30 p.m. Tuesday, April 10, at Webster University's Moore Auditorium (470 East Lockwood Avenue; www.webster.edu/film-series).